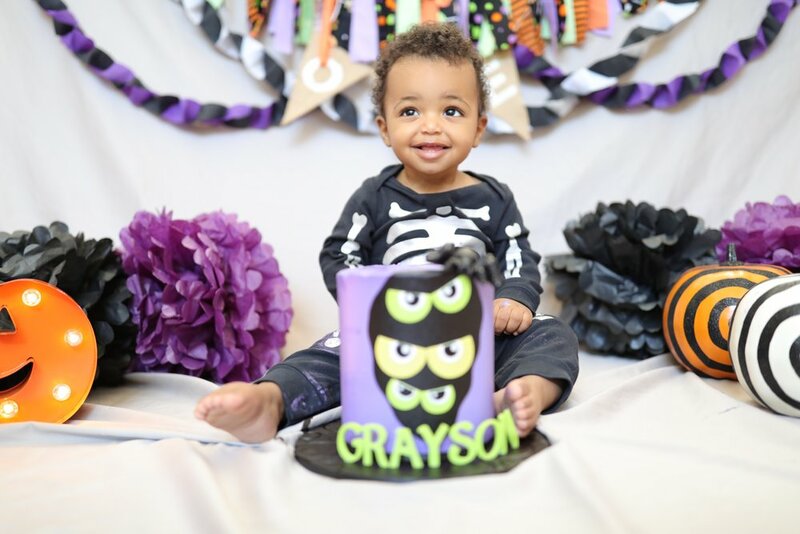 Turning one means lots to celebrate; but turning one on Halloween, is a whole new level! 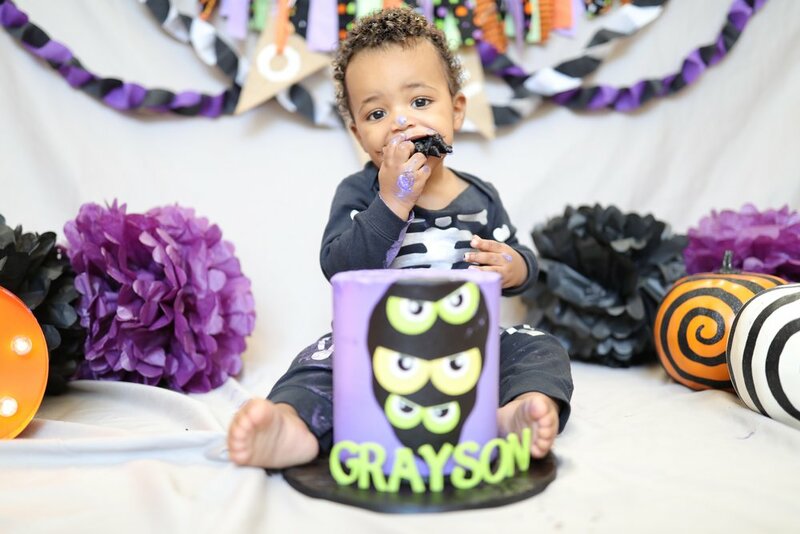 We threw Grayson a huge birthday bash that was superhero/villain themed; but for his special cake smash, I wanted to keep things true to the celebration and ensure it was all about Halloween! 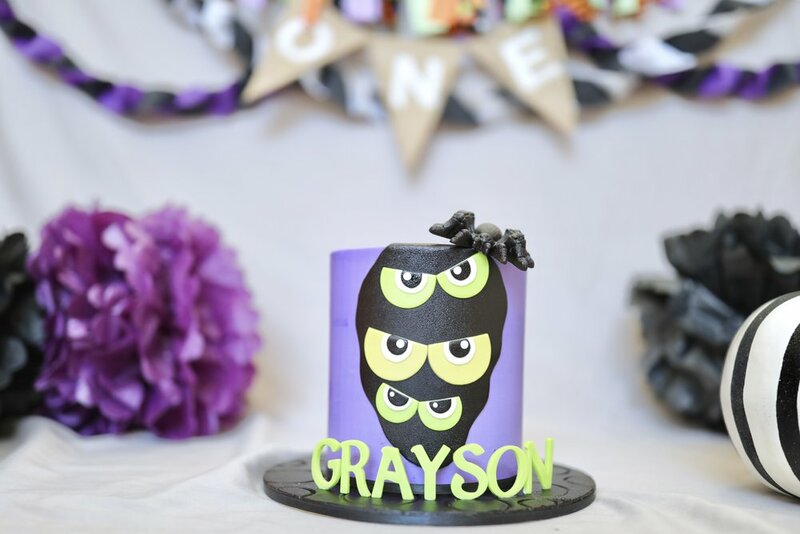 Now, setting up the shoot required a bit of a thought process because I had to ask myself: how can I achieve a cute Halloween-themed cake smash without it looking too scary or missing the age-appropriate mark? Well, I think I figured it out! 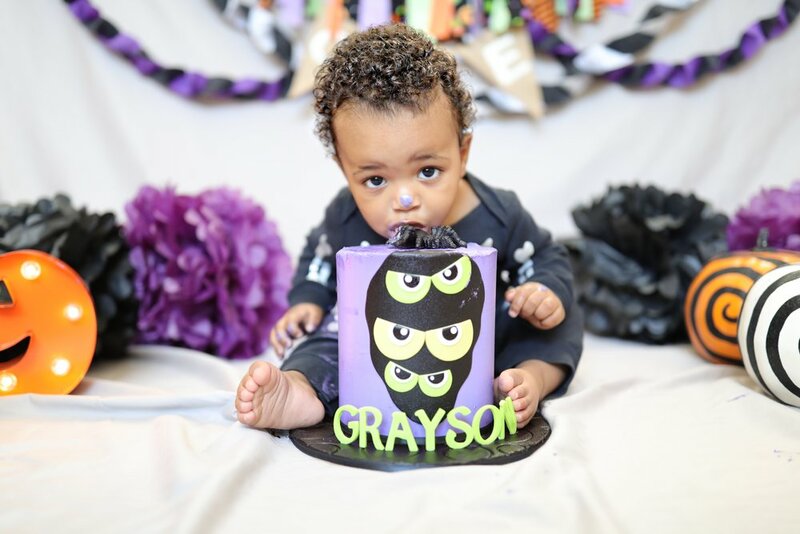 Some cute pom-poms, fun use of colors, unique pumpkins, and more importantly our tied everything together! As for actually smashing through the cake - eh, not really @LittleMrGray’s thing I guess. 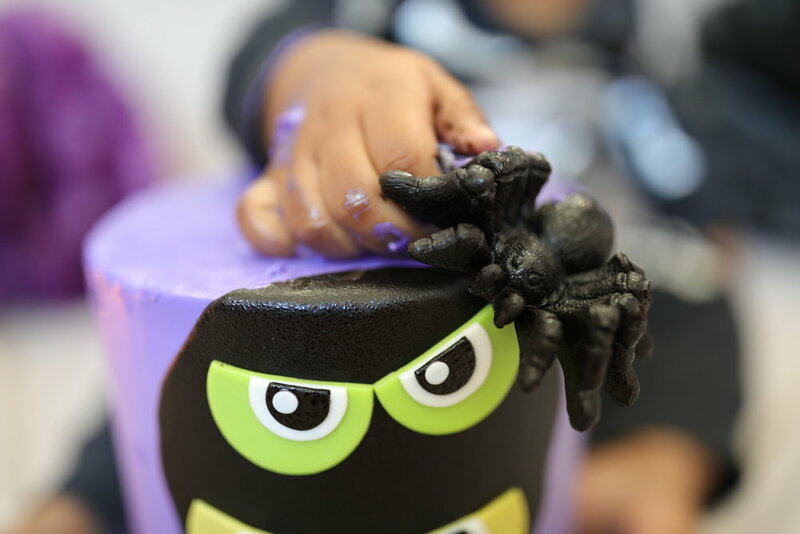 He was more enamored with the sugar spider that sat on top of it and decided to devour that instead. 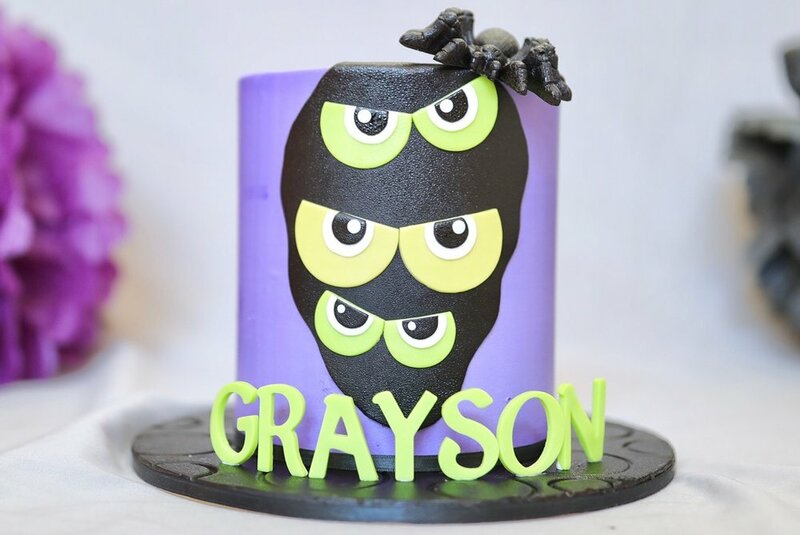 I can’t lie, I initially expected a huge cake mess to clean up, a crying baby and one that I would have to dunk in an immediate bath afterwards. But, nope! Not my baby! He practically performed in front of the camera and gave us the best pictures, like, ever!